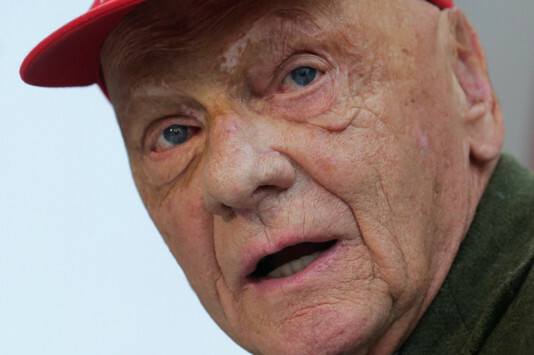 London: Mercedes team boss Toto Wolff has wished Formula One great Niki Lauda a safe and speedy recovery from a lung transplant and hoped the Austrian would be back at the races before long. Triple world champion Lauda, 69, had the operation in Vienna on Thursday. “The world knows Niki as an F1 legend with incredible power and resilience,” Wolff, also Austrian, said in a message before the August factory shutdown. “For all of us at Mercedes he is our chairman, our mentor and our friend,” he added. “We have missed him by our side in Hockenheim and Hungary and can’t wait to have him back with us on the Grand Prix tracks of this world. “The recovery he now faces is not a race. But knowing Niki, I’m sure he will soon be telling every nurse and doctor that he has had enough of the hospital.” Four times world champion Lewis Hamilton, who is leading the championship for Mercedes, also sent Lauda — who was instrumental in signing the Briton from McLaren at the end of 2012 — a message on Instagram. Lauda, who was badly burnt in a near-fatal Formula One crash in 1976 and later became an airline entrepreneur, was taken ill recently. He won his titles with Ferrari and McLaren in 1975, 1977 and 1984.